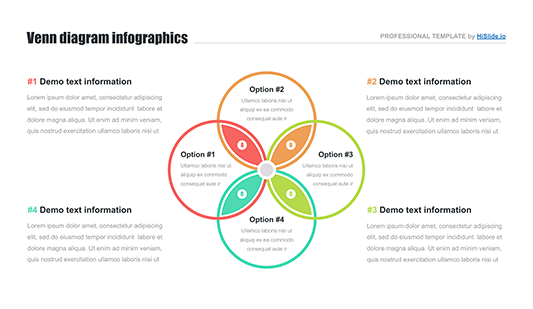 PPT infographic template for PowerPoint - Free Download Now! What is this PPT infographic template for? 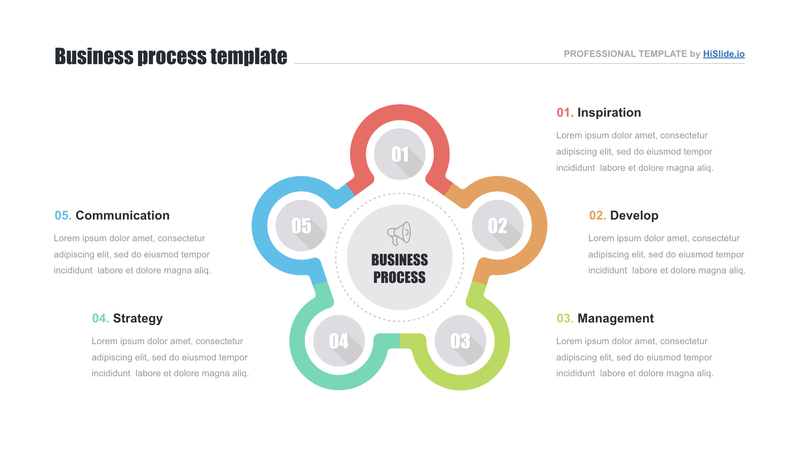 This PPT infographic template is designed to display the stages of business processes. On our sample, users see a creative gear-shaped element with five enumerated parts. Each part has a different color. Five text blocks are scattered around this element. It is one of the visualization tools, the main purpose of which is to clearly display information. Due to the template’s vivid scheme and clear structure, this slide helps to successfully visualize any data and describe complex issues. Using this template, it becomes easy to logically structure a speech. Such an element can be added to each business presentation or report to diversify it and simplify the process of topics development. 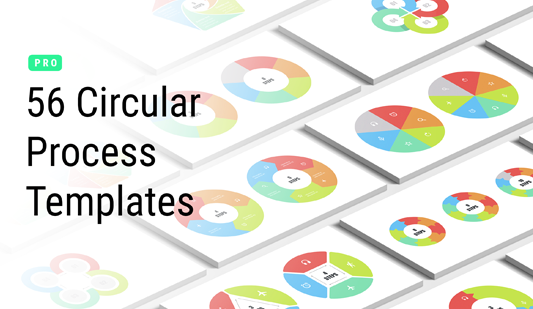 This free infographic template for PPT will not only allows users to convert data into visual attractive form but also serve as an image-maker for every speaker. Such a unique high-quality tool will demonstrate skills. Perfect quality. We offer a new unique element and guarantee its perfect quality. Our template does not have defects and looks perfect on all devices including high-resolution ones. Built-in tools. 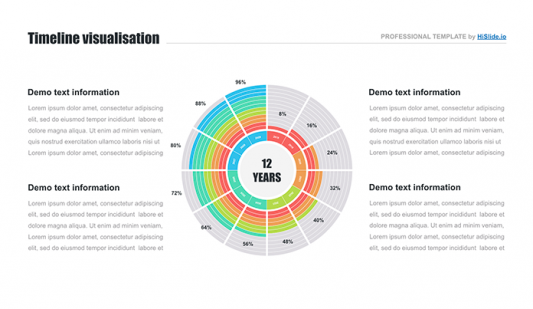 Users can edit such characteristics as size, colors, text, or shape. The slide can be adjusted to your needs in two clicks. Free download. It is a free infographic template for PPT. Every user can download this element in a few clicks. Multipurpose template. This slide allows visualizing statistics, complex figures, or monotonous texts. The infographic is frequently added to a number of business projects or reports, where it is difficult to perceive all information without visualizing. Premade easy-to-use infographic. This PPT infographic template is real support for office employees or managers who are going to deliver a speech. Moreover, the slide makes work convenient and helps to quickly create new visual material.